Many years ago when I was still working with the English Institute of Sport the issue of Vitamin D deficiency was raised and many athletes from many sports were screened to measure Vitamin D levels. Not surprisingly some athletes who took part in indooor sports were found to be deficient but more surprisingly some who regualrly trained and completd outdoors were also deficient in Vitamin D. Despite spending plenty of time in the British summer sun and travelling to sunny parts of the World, athletes had become so careful at covering up and using high SPF creams that they were not actually getting enough exposure to produce adequate levels of Vitamin D.
The list of things that are influenced by Vitamin D appears to be endless. Good bone health and muscle building have been well known and documented for many years. 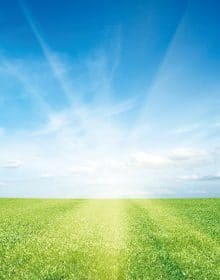 More recent research suggests tissue heeling, mental health, mood state, immunity, gut health, sleep are also strongly influenced by high levels of Vitamin D.
Vitamin D production is stimulated by direct exposure to sunlight, specifically UVB rays and in the UK the sun is only strong enought between the months of March and September. Other sources include oily fish, red meat and eggs. Perversely, fair skinned people produce more Vitamin D more quickly than dark skins. The process is surprisingly efficient and it is suggested that for a fair skin, just 10 minutes of unprotected midday sun in shorts and tee shirt is enough to produce adequate levels of Vitamin D. Darker skins probably need 20 minutes, while black or Asian skin may require more than that. But it may require a change of mental attitude to accept that once again a piece of advice given for good intention has been taken too far and we now overprotect our kids and ourselves. Spending some time each day in shorts and tee shirt in sunlight is essential. Other influencing factors will be diet. Vitamin K, Magnesium and Zinc are also essential to retabolise Vitamin D efficiently. So once again vegetables, fruit and oily fish are on the list of essentials. Some years ago Prof Clarke at Southampton screened local children and found 20% had early signes of Rickets, a bone desease associated with lack of Vitamin D. Poor diet and level of sun were blamed, but it was surpising to find this in children in the area considred quite affluent and well educated. Another possible piece of the jigsaw is regular use of medication that may disrupt the metabolism of Vitamin D.
The answer is that we should all ensure we allow a sensible exposure to sunlight. Anybody using regular medication should clarify with their doctor or pharmacist whether their medication will potentially casue poor Vitamin D synthesis. If you are concerned as an athlete about poor recovery, recurrent illness, poor injury healing or low energy state it is probaly worth contacting your GP as a simple blood test can identify low levels. Take care if you check levels on the internet. US measure in ng/ml and suggest 50ng/ml to be optimal. In the UK it is measured as nmol/c and will be 2.5 times the US measure, so 100+ nmol/c is optimal. Hope the sun is shining wherever you are, get outside and enjoy it for 15 minutes!